Yesterday was another busy 18 hour day. That meant when I was supposed to post my blog, I wasn't able to. I already blogged once today about my awesome meet up yesterday with Meghan from Split the Lark (a breath of fresh air to my crazy day! ), but I wanted to post this short little blog as well since it didn't go up yesterday. This is such an easy technique, a little bit different from maybe what you've already seen. You see, I lost both of my grandfather's in 2011 to cancer. After the first passed, I cut off nearly 18 inches of hair, 15 of which were donated to charity (the other 3 came off in trying to make my hair look nice). I hadn't had short hair in years and discovered that I *really* prefer it to be curly. 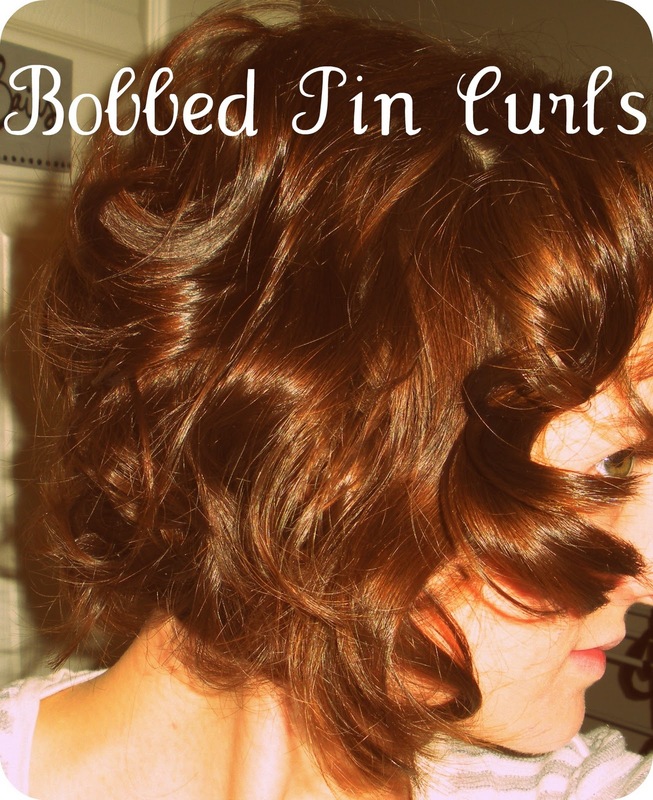 I often use a rod iron to give it just the right touch, but I seem to have lost it and a standard curling iron just isn't cutting it on my too short to curl hair. I decided to try something else a few nights ago and I think it went well. 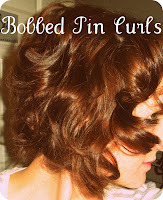 In standard pin curls, you twist your hair like a rope and then twist that into a tight circle and pin it to your head. I've never loved that method, but it flat out won't work on short hair anyway. My hair isn't long enough to double twist (which is why I always burn my hair on standard curling irons). I decided to try it a little bit differently. (1) Starting at the front of my head, I just wrapped my damp hair around one or two of my fingers, as if my fingers were rollers. 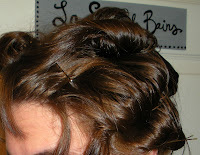 (2) I then used ONE bobby pin to secure the roll to my head. (3) I slept on it and took out the pins in the morning. Voila! So easy. And it worked really well! I can see that I missed a few strands here and there, but all in all it was easy. If you do discover that you missed a few strands, simply spritz with spray and then re-roll them. Just a super short note. If you have any questions about this, you can always e-mail me at la.vie@aol.com! Have a great day and as always, thanks for reading! girl you got some crazy motivation. go you!